The beginning of this year has been a little wild in our family. So wild in fact that I wasn't really excited to go into February. I've felt like our family, mainly the kids, have really been rude and frustrated with one another. Part of that is the new routine for the new year and part of that is being stuck inside because of the weather. I decided to take some action and created an idea to use Valentine's Day as the reason to put together the Month of Love Party. What is a Month of Love Party? I put together some service ideas that our family can participate in during the month. Some ideas are outside our family like taking treats to a neighbor, but most are within our family like read to a sibling, share a toy, make a Valentine etc. These are simple things we can do each day to show our love for each other and hopefully help us out of this rut we are in. I also made some fun custom napkins with my Cricut EasyPress 2. It was a really fun way to make our dinner special without having to head to the store and buy new napkins. Plus, I designed the cut file myself so you can grab it for FREE right here. If you want to know how I put the vinyl on my napkins check out this post. 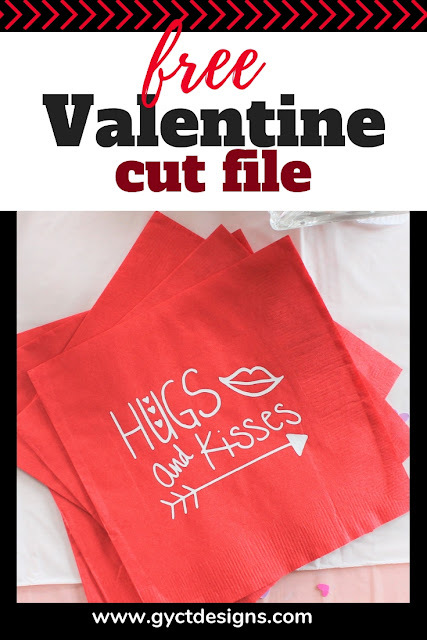 I also used my Cricut to cut out hearts in various colors. I than chained stitched them together with my sewing machine. I hung them up from our chandelier to the wall. It turned out really cool and I plan to leave them up the entire month. Plus, I can keep them in storage for years to come. Finally, I printed out these adorable Valentine images and create small cards to be used during the Month of Love. I hung them on this wooden frame so we can access them all month long. On one side is the holiday image, on the other is a small act of kindness, service or idea to show someone you love them. Each day we can take one off the frame and decide how we each can help show love. I'm hoping this will inspire everyone to be just a bit kinder all month. We had heart shaped pizza, yummy drinks and sweet treats. During dinner we talked about all the ways we can show love for one another during the month. The kids loved the dinner and are excited to try showing more love through the month. At the end we introduced our service cards and the kids are really excited to start. 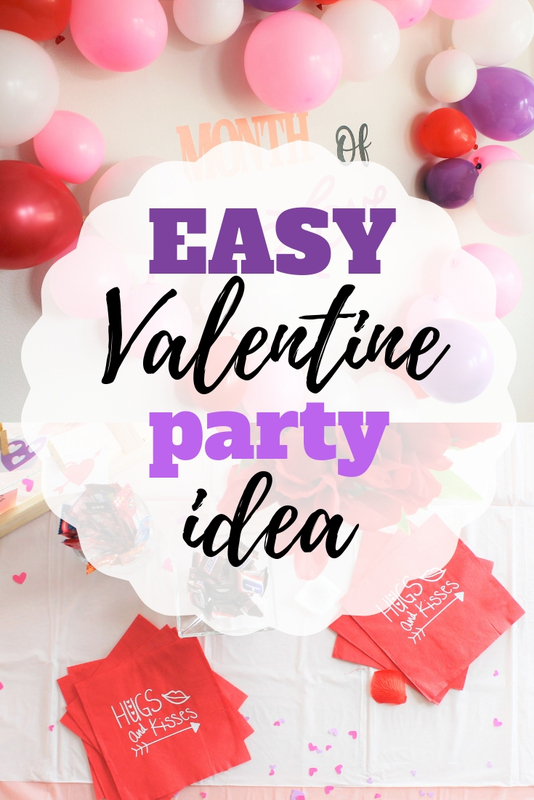 I hope this Month of Love Party idea has inspired you and your family to try something different this year. And you don't have to do it just in February. Any month of the year could be a Month of Love.